Cassidy & Associates is proud to help sponsor Oregon State Society’s annual charity banquet tonight in Washington. The Oregon State Society of Washington, D.C. is a non-profit, non-partisan philanthropic organization made up of Oregonians, both actual and honorary, living in or frequently visiting the greater D.C. area. This year’s event benefits the Oregon Energy Fund. 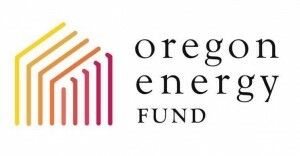 The Oregon Energy Fund is a 27-year-old statewide organization providing energy assistance to thousands of Oregonians in times of unexpected crisis.